Tonight’s ABC Four Corners report, ‘Fighting the System’ exposed more evidence of the appalling levels of violence and abuse against people with disability in Australia. This is only the tip of the iceberg. In light of the graphic and disturbing cases revealed this evening, Disabled People’s Organisations Australia (DPO Australia), calls on the Federal Government to reconsider its recent refusal to conduct a Royal Commission into violence and abuse of people with disability. “Tonight, more evidence has come to light that supports the case for a Royal Commission. It is only a Royal Commission that has the weight, the investigative powers, the time and resources to open the doors to the many ‘closed’ institutions and residential environments, and expose Australia’s shameful secret,” said Therese Sands, Director, DPO Australia. “People with disability are routinely denied access to justice, both at a civil and criminal level because of law, policy and practice barriers. A Royal Commission would give space and recognition to people with disability to tell their story, to be believed, and would enable some measure of accountability and justice,” said Ms Sands. The Federal Government ruled out a Royal Commission in its response to the Senate Inquiry earlier this month. The Government noted that it was addressing violence and abuse against people with disability by establishing the Quality and Safeguarding Framework for the National Disability Insurance Scheme (NDIS). “A Royal Commission has a critical role to play as Australia undertakes national changes to disability supports and services. It would also address the scale of violence and abuse against people with disability, its many forms and the broad range of services and settings where it occurs. It would have the resources to examine the adequacy of systems, processes and accountability mechanisms designed to put an end to the appalling rates of violence and abuse against people with disability,” said Dr Cadwallader. 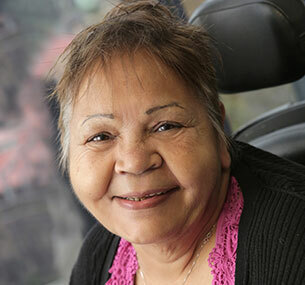 “We call on the Federal Government to take a leadership role to stop the epidemic of violence and provide a measure of justice for people with disability by urgently establishing a Royal Commission,” said Ms Sands. Disabled People’s Organisations Australia (DPO Australia) is an alliance of four national Disabled People’s Organisations (organisations made up of and led by people with disability). DPO Australia was founded by, and is made up of the First Peoples Disability Network Australia (FPDN) representing Aboriginal and Torres Strait Islander people with disability, the National Ethnic Disability Alliance (NEDA) representing culturally and linguistically diverse people with disability, People with Disability Australia (PWDA) a national cross disability organisation and Women With Disabilities Australia (WWDA), the national organisation representing women and girls with disability.